Moisture & Protein it's a Serious Curlationship! 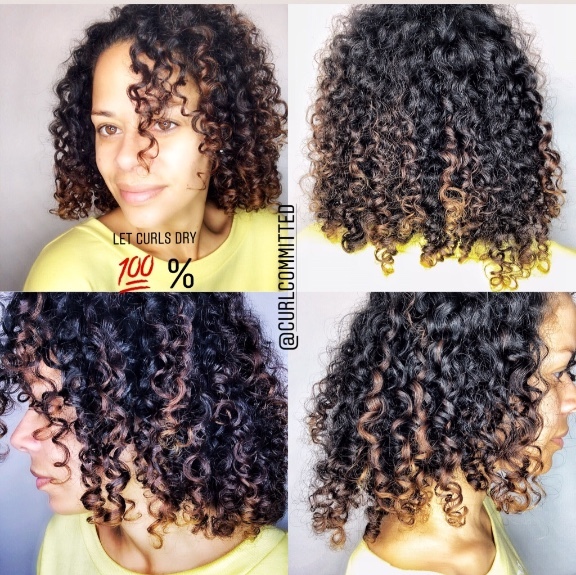 So now that we know how critical protein is for the integrity of your curls based on the previous blog post. It's important for you to understand that moisture is protein's best friend! When it comes to your wavy, curly or coily tresses neither protein nor moisture can work well without the other. This means finding and maintaining the balance between moisture and protein is critical for achieving and maintaining healthy hair. There are hundreds of products available on the market however very rarely will you find one that focuses on balancing both moisture & protein. Usually, you are forced to choose one over the other or you're left with having to buy several different lines. Often times this can create confusion and leave with over moisturized curls known as hygral fatigue or dry brittle stands leaving you wondering where you went wrong. 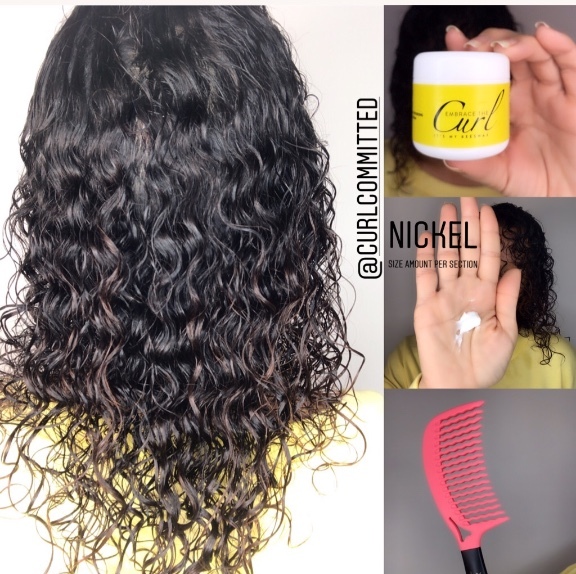 The relationship between protein and moisture is quite synergistic this is why Embrace The Curl has formulated a line of products that takes out the guesswork and delivers the balance you need. 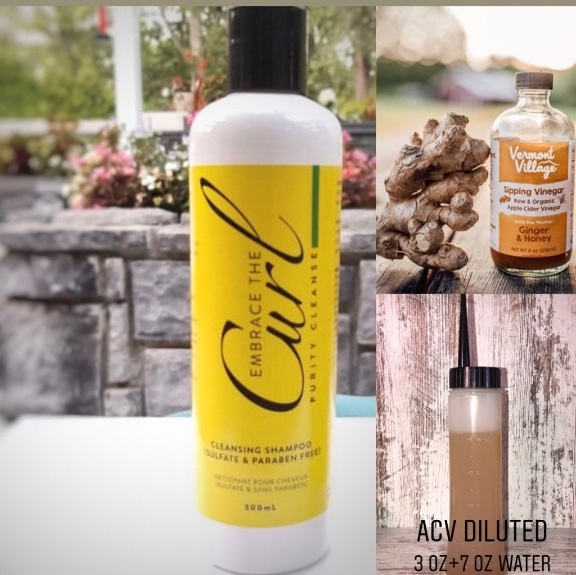 Our plant-based organic Avocado Hair Oil, Protein Enriched Hair Mask & our Beeswax Curl Cream is a great 1,2,3 combo to help you achieve and maintain the perfect balance! 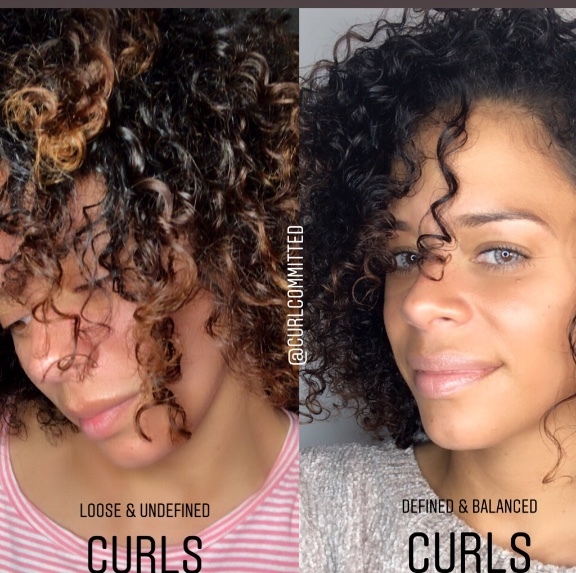 Here are the deets on how we are able to take our curls from loose & undefined to juicy balanced and bouncy using just 3 simple products! Using the Embrace The Curl Avocado Hair Oil you can apply this to both the scalp & hair strands. Pre-poo is simply an abbreviation of the phrase pre-shampoo the night before the hair is to be washed or saturated with water. Sectioning the hair into 4 even parts mist each section with water. 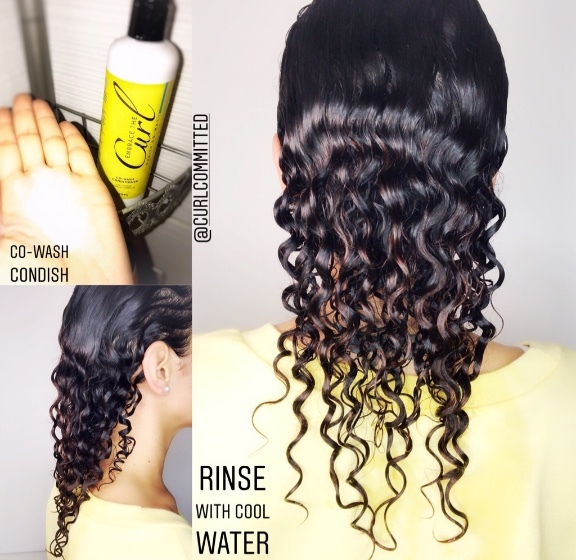 Use enough water to wet but not saturate the strands. Now the oil is ready to be applied to lock in hydration. Massage 2-3 drops into the scalp and bask the strands from root to tips. 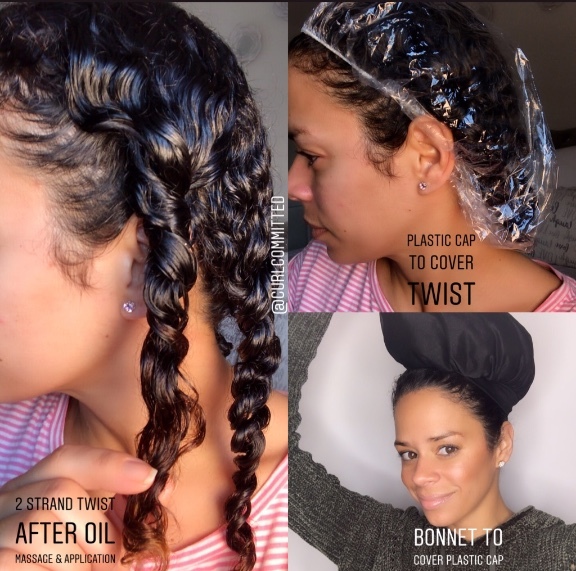 Once the oil is fully applied you can two strand twist each section. Using a plastic cap you can then cover the sections. Add a bonnet to secure the plastic cap. Sleeping with the oil in your hair overnight amplifies the moisturizing treatment as the natural body's heat rises while you sleep creating a thermal treatment. Now that your hair has absorbed all the yummy nutrients it time to wash or cleanse your scalp & strands. We love alternating between the Embrace the Curl Purity Cleansing Shampoo which is Paraben & Sulfate Free and an Apple Cider Vinegar Rinse. Once both the scalp & hair are clean it's time to use Embrace The Curl's "Strengthen My Uniqueness" Mask. Derived from natural vegetable oils, organic aloe leaf juice, and substances like palm oil provide slip to the formula which helps to detangle hair. Our mask is also infused with Castor oil and Provitamin B-5: functioning as a Humectant to improve the appearance and elasticity of your curls. The Hydrolyzed wheat protein fills in the gaps along the strands while fractionated coconut oil and glycerin work in harmony to pull moisture. When using protein infused products it is important to follow the instructions precisely. We thoroughly saturate the hair strands and let sit for at least 30 minutes covered with a plastic cap. Adding heat is optional so if you do it is advised you always use a warm heat on a low setting if you are using a bonnet dryer or thermal bonnet cap and cut the recommended time by half. Heat always helps to speed up absorption. With protein, you can over treat which will lead to hair feeling dry and brittle so to avoid this make sure you keep track of time closely. After the treatment time has been achieved it is now time to condition rinse & style. For conditioning, we uses Embrace the Curl's Co-Wash which is luxuriously hydrating with emollient-rich rosehip oil, pure organic aloe, plus fortifying hydrolyzed wheat protein and nourishing pro-vitamin B5, which all work together to leave hair feeling beautifully soft. With visibly defined curls already in sight now its time to style with "It's my Beeswax" Hair Cream which I absolutely love because it's a mix between a pomade and a leave-in hair cream. It defines curls, waves, and coils, tames frizz, and locks in the protein-moisture balance. Formulated with organic beeswax and coconut oil your waves, curls, and coils are sure to fall in love. Once again section into 4 parts and apply the desired amount of cream. I usually always say start with a nickel size then add more if needed. Comb through to evenly distribute then let dry 100% before manipulating or fluffing. This powerful 1,2,3 combo blend delivers a difference even after just one use. 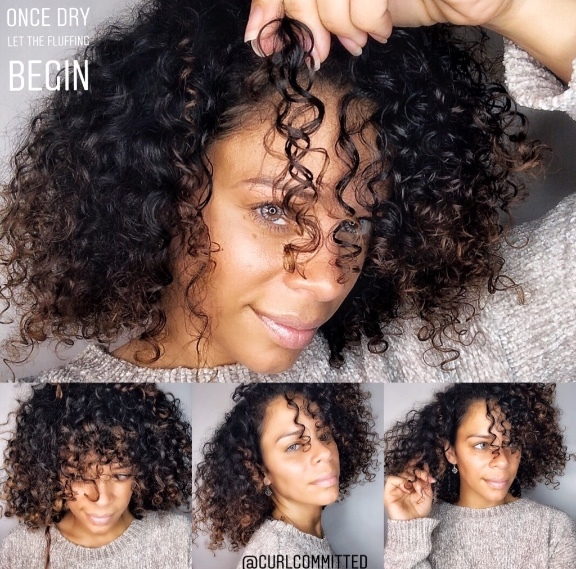 The Embrace the Curl Line is optimal and a go-to for many curly enthusiasts. 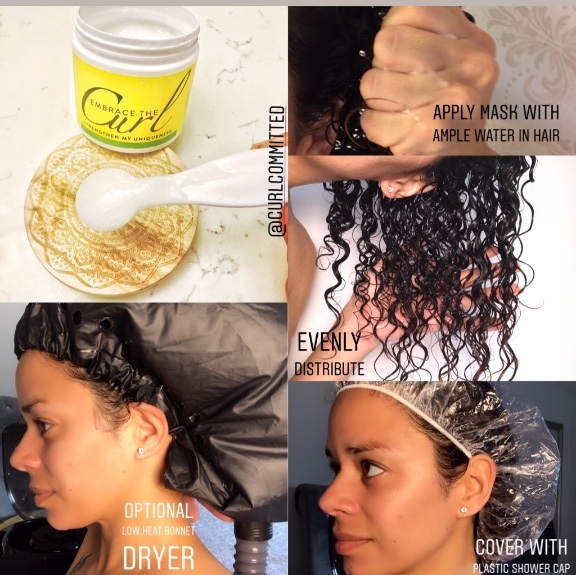 As always thank you in advance for your support and your commitment to the health of your curls. Learn how to embrace your natural hair and authentic self.